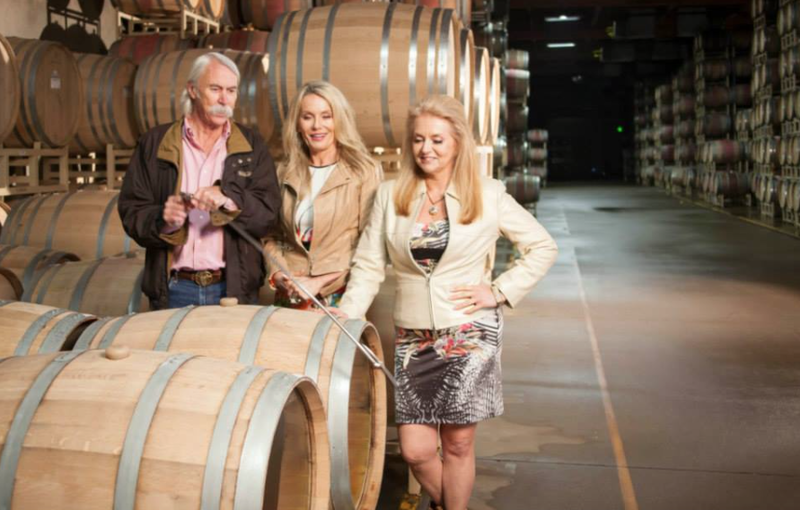 In the barrel room at Vinwood Cellars, where several of Kendall-Jackson’s key wines are made. Not open to the public, we are treated to lessons in “battonage” and enjoyng a wine thief experience. Drawing a sample of wine straight from the barrel. 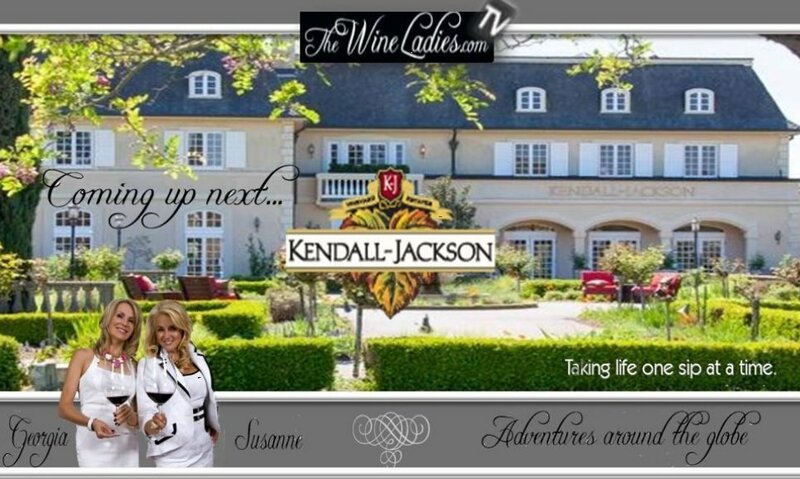 The Wine Ladies, Georgia and Susanne take on Sonoma County and explore the magic of iconic Kendall-Jackson wines. 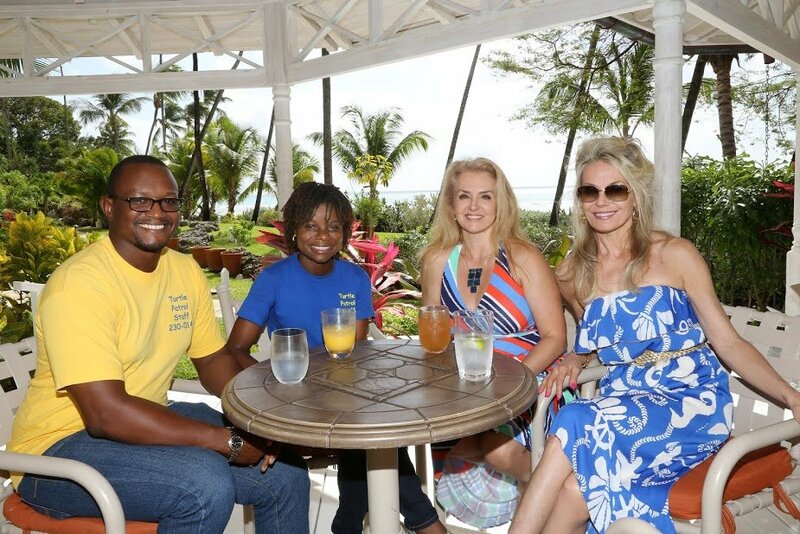 From the helicopter ride over the county to the harvesting of the K-J gardens to operating a wine thief! Coming soon… The Wine Ladies Adventures Around The Globe!! For a sneak preview check out our The Wine Ladies FaceBook Fan Page. Ask The Wine Ladies…What is a wine thief? Where can I get Okanagan wines in Ontario? Ask The Wine Ladies. As a fairly recent transplant from the west coast via a brief stint in Calgary and Saskatoon, I am dismayed by the lack of Okanagan wines found here on the shelves and across Canada. I recently discovered a stunner of a Chardonnay, although a little pricey, well worth it from what was in the bottle to the exquisite and innovative packaging. It was called Perpetua, was luscious and creamy with an aroma of lemon, absolutely delicious. With the spring coming, I am wondering if this company makes any equally impressive red wines, and if so how would I go about finding them. 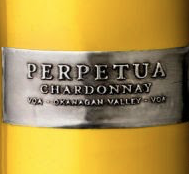 We too were impressed with the Chardonnay Perpetua, you are referring to which is one of the Legacy Series wines produced by Mission Hill Family Estate. Indeed delicious, this is a single vineyard Chardonnay from Osoyoos that premiered with the 2006 vintage. The Legacy Series represents Mission Hill’s top tier wines. A blend of art and science, with the fruit being sourced from specific blocks within select vineyards via GIS mapping. Weather stations within the vineyards monitoring climactic conditions, and winemaker John Simes practicing his personal art of wine making. The wines have received multiple awards and recognition from wine writers and experts both at home and internationally. Mission Hill produces two Legacy Series red wines, with “Oculus” their Bordeaux- inspired signature wine being the first, and Quatrain, a blend of four grape varieties, Merlot, Syrah, Cabernet Franc and Cabernet Sauvignon being the second. Quatrain, by the way means a poem or a stanza that is always composed of four lines. Both of these red wines, admittedly pricey, particularly Oculus at $70.00, are also well worth the top dollar they fetch. https://www.thewineladies.com/wp-content/uploads/2009/08/Screen-Shot-2018-04-15-at-10.15.39-AM.png 260 615 Susanne Seelig-Mense https://www.thewineladies.com/wp-content/uploads/2017/08/WineLadiesLogoTransparent.png Susanne Seelig-Mense2014-04-23 14:22:482018-06-23 07:08:21Where can I get Okanagan wines in Ontario? 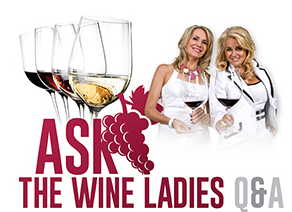 Ask The Wine Ladies.